This brand new TRE-501 OEM Replacement fuel pump is a direct fit replacement in the stock fuel pump housing (some minor modifications may be needed on the plastic housing or wiring). It flows very similar to the stock pump for your vehicle, usually about 100 liters per hour at 12v and 43psi. Wholesale Distribution available, contact us for details and pricing! TREperformance has been manufacturing our own OEM replacement fuel pumps for over 10 years. Do not be fooled by other companies who claim to have tested their pumps, we have sold over 100,000 of these fuel pumps and have had the flow tested by RC Engineering to verify the output. This pump is very similar to the Bosch 044 fuel pump. This is not a dealer part, Airtex, Walbro, or any other manufacturer. It is a TREperformance brand fuel pump. This pump will fit every model, engine, type or style for every vehicle listed and can flow anywhere from 15-115 psi, which is determined by your fuel pressure regulator, usually about 100 liters per hour at 12v and 43psi. All of our pumps are always in stock and will often ship the day of payment. TRE in-tank and external in-line fuel pumps have been tested to perform for many years even in heavily driven applications. We back our fuel pumps with a 1 week 100% money back guarantee, less expedited shipping, and a 1 year free replacement guarantee! We rarely have issues with our pumps, and you will not find a guarantee like this from other fuel pump manufacturers such as Walbro. 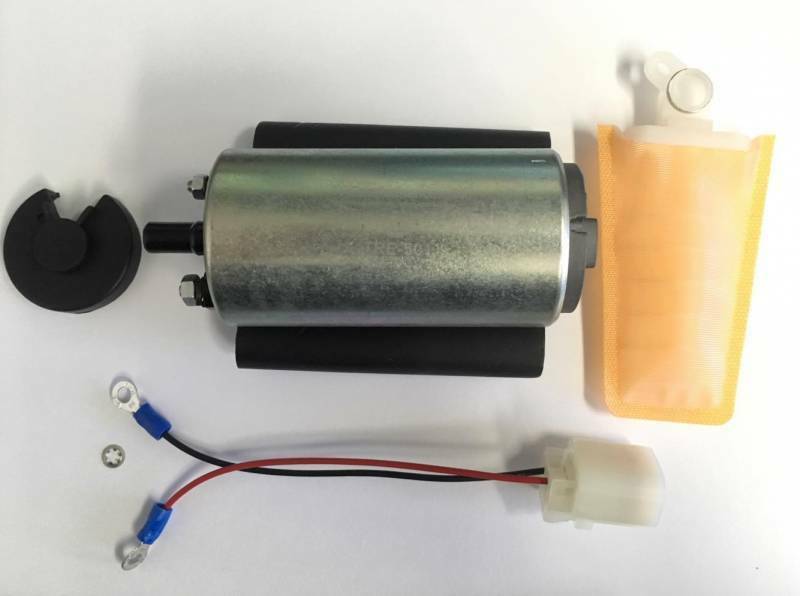 If there are any problems when you receive your pump, just contact us within 1 week of receiving your fuel pump in the mail and we will either replace the pump for you, or refund your full payment less any expediting shipping fees. In addition, if your pump is defective or broken we will replace it free of charge anytime within the first year! However, make sure you clean your entire fuel system including the fuel tank before replacing a fuel pump, failure to do so will void the guarantee. Just contact us via email to RMA@TREperformance.com to receive return information. No returns are accepted without an RMA number. Our pumps are manufactured according to strict guidelines in order to maintain ISO 9002 and ISO/TS 16949 quality system certifications. Save some money and try one of our pumps. We back them with a 1 year warranty! Thank you for considering TREperformance Fuel Pumps! Copyright © 2019 TRE Performance. All Rights Reserved.